The glass piece measures 1.5 cm x 1.5 cm and is made of two layers of glass. 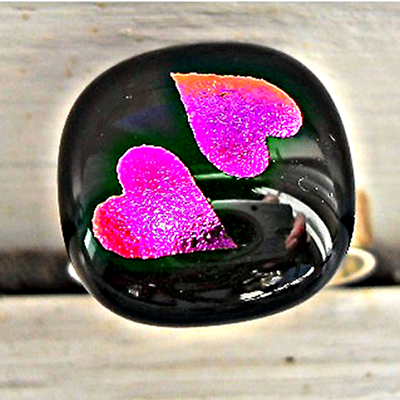 A chunky Black layer with two shiny Magenta hearts on top. The ring fitting is silver plated and adjustable so will fit most fingers. It comes in a Black or Silver gift box.